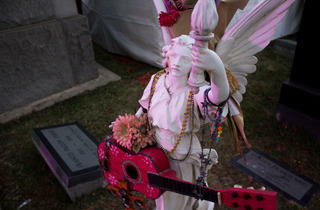 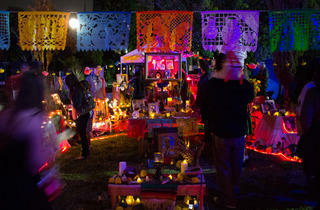 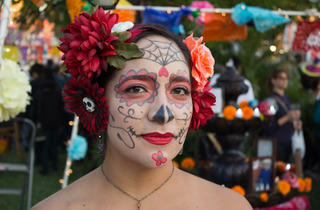 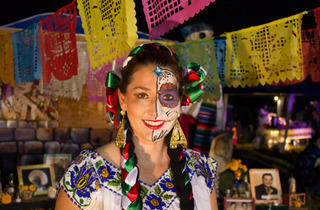 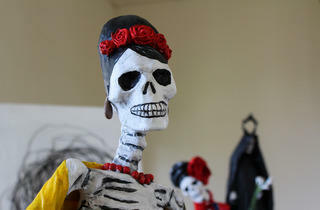 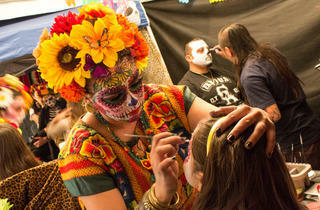 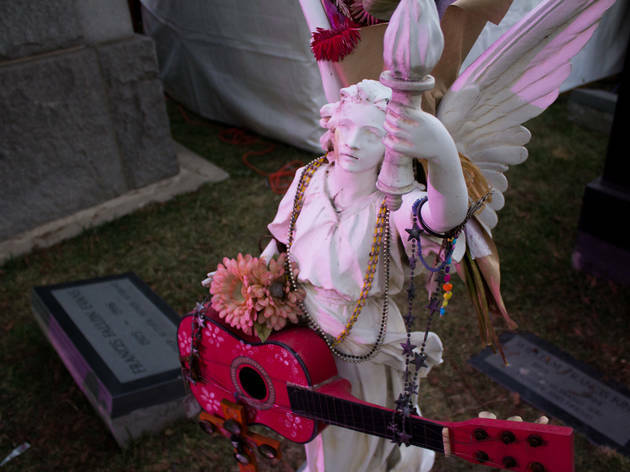 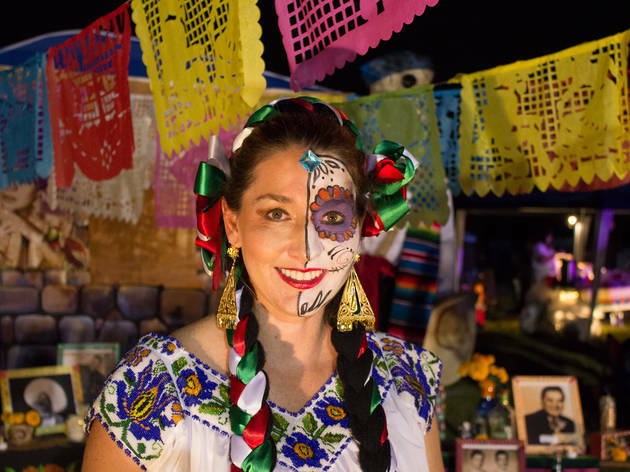 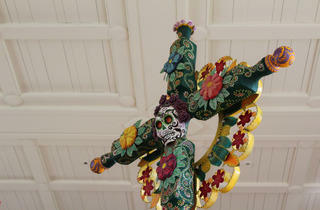 Photograph: Michael JulianoDay of the Dead at Hollywood Forever. 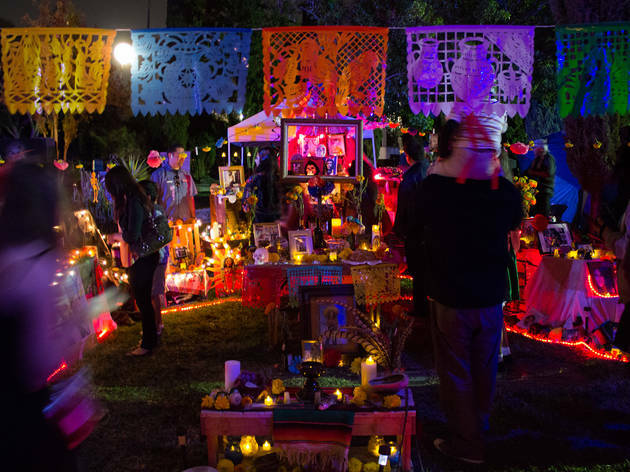 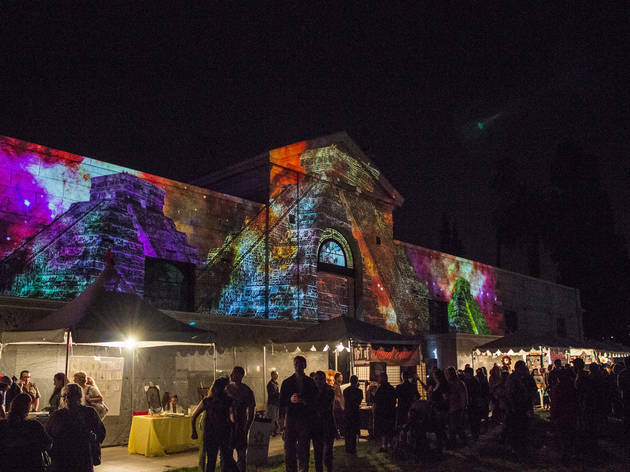 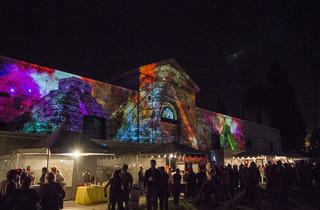 Hollywood Forever Cemetery claims to host the largest Day of the Dead celebration in California, and we wouldn't doubt it: The cemetery grounds are covered with art exhibitions, dance rituals, musical performances, children's arts and crafts projects and food vendors (and crowds) aplenty. 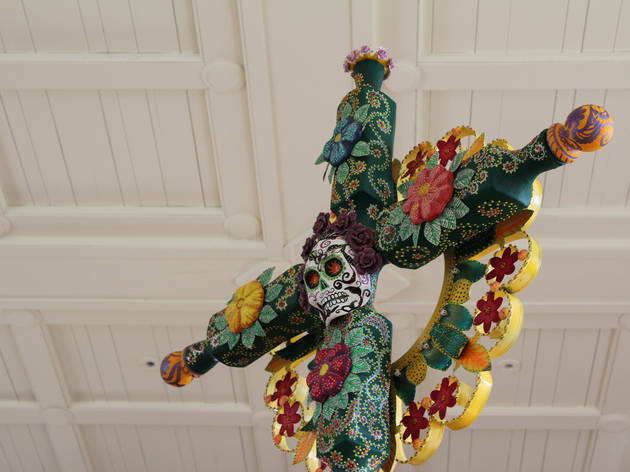 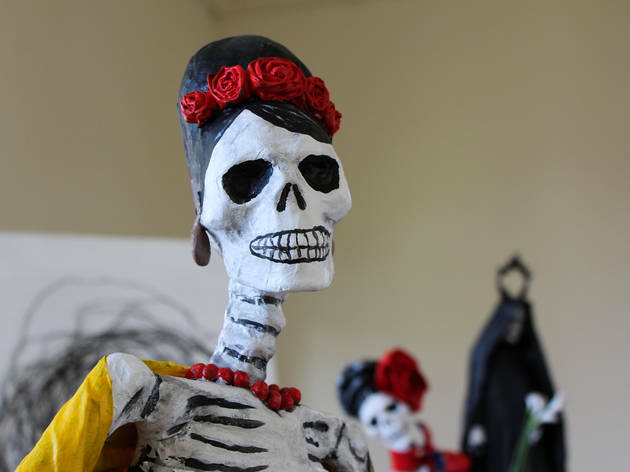 You'll see altars to the dead created by community artists, and can either watch or participate in the calaca (skeleton) costume contest. 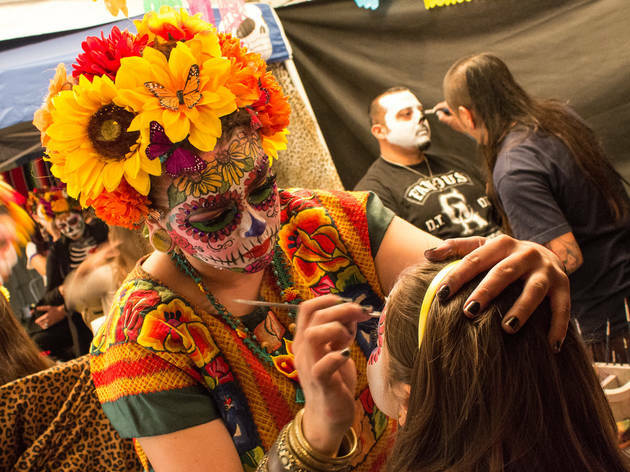 This year's theme, Coatlicue "Mother of Gods,” honors the Aztec goddess and mother of the moon, sun and stars. 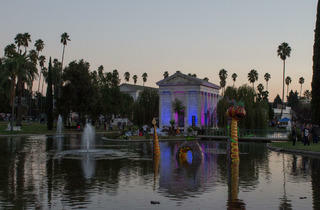 It's sure to be a spectacular display, as always. 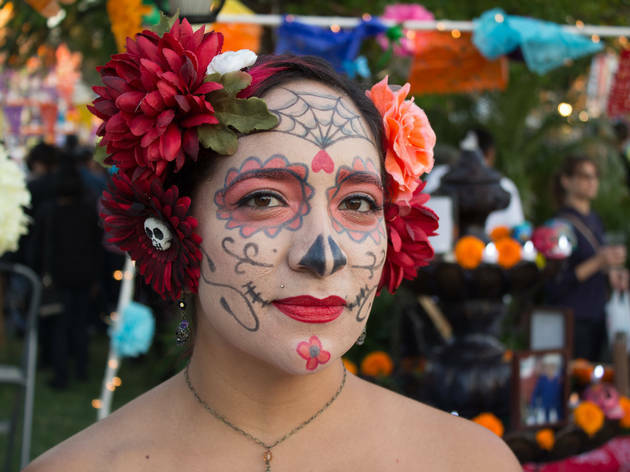 And there's something to be said for a Halloween-time event that respects and celebrates the very (and often forgotten) roots of the holiday. 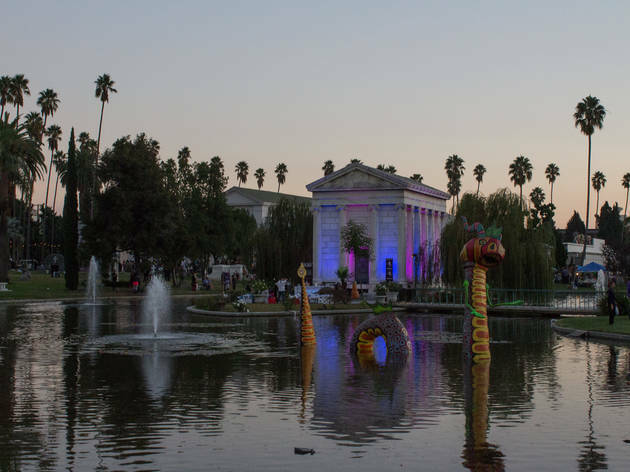 The event becomes exceedingly crowded after sunset; we suggest arriving before 4pm if you plan on parking in the adjacent neighborhoods or the Paramount parking structure.